Reach-In Refrigeration Buying Guide - BRESCO® - Birmingham Restaurant Supply, Inc.
Refrigeration is one of the most, if not the most, important elements in a kitchen. 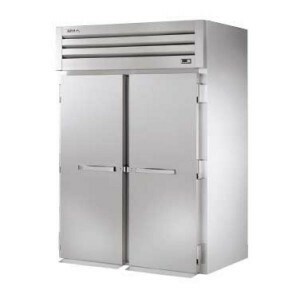 Having a smoothly operating refrigeration system enables all other parts of the kitchen to work efficiently. 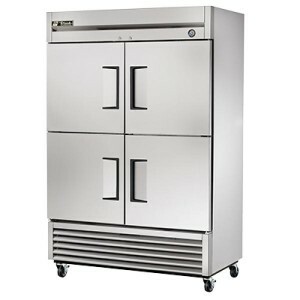 The reach-in refrigerator is ideal for most food service establishments; however, it is important that your reach-in refrigeration system is optimized for your specific kitchen needs. When deciding on what reach-in door would be best for you kitchen, first think about how much space you have available that can be dedicated to a refrigerator. Be sure to measure the space available and then do it again just to be absolutely certain! Also, consider how you want your refrigeration system to flow. Ideally, you would want your smallest reach-in refrigerator to be the closest to the hub/cooking battery of the kitchen with your larger refrigerators and walk-ins farthest away. This creates a smooth transition between cooling equipment and saves the most energy as the larger refrigerators are the farthest away from the centralized heat. And most importantly, you need to take into account how much product your new reach-in refrigerator will need to hold. Bresco offers a variety of door sections and configurations to meet your needs. (12 to 23 cubic feet) A single section refrigerator usually has three shelves, however, shelves can be added or dropped depending on how large the product is that the refrigerator is storing. A single section refrigerator can have one full door or two half-doors. 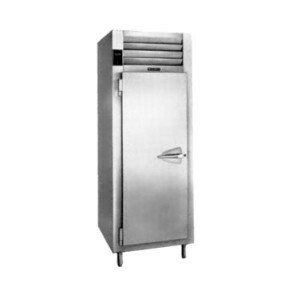 (35 to 49 cubic feet) Two-section refrigerators consist of two doors, one for each section, and are used for situations in which the refrigerator has a large quantity of product to store and cool. It is always a better bet to select more sections in a refrigerator as it minimizes risk of overfilling the unit and causing it to malfunction. (69+ cubic feet) You also have the option of getting a three-section refrigerator which has a very large capacity available for you to utilize. The type of door for your new refrigerator is also an important factor to consider. 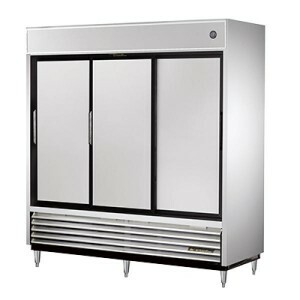 The refrigerator’s surrounding environment plays a large role in what would be the most ideal door style. For example, you would not want swinging doors by a narrow walkway where the doors would open up and block movement through the kitchen. Though not every door style will work in every position, we have at least one that will operate smoothly in any kitchen. We offer refrigerators with a half door configuration in which the refrigerator is divided into sections horizontally and these sections are then all able to be opened independently from one another. This allows for the refrigerator to not waste as much energy when a door is open and is ideal for a kitchen refrigerator that is going to be frequently accessed. Sliding doors are great for kitchens that do not have broad corridors or abundant space. You have access to all products at the same time when open, unlike sliding doors which only allow for half of the refrigerator to be used at once. 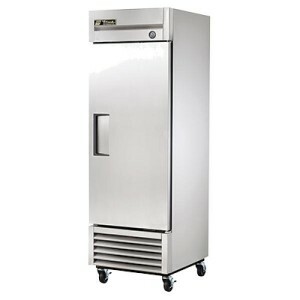 We also carry roll-in style refrigerators which feature doors that touch the ground, allowing for products to be pushed into the refrigerators on carts or other carrying devices. This is ideal for establishments that require frequent movement of a large volume of products. 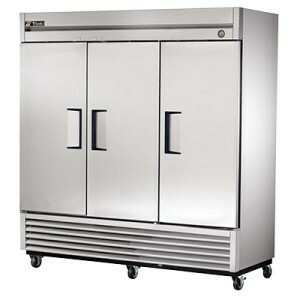 A pass thru refrigerator is built with a door on either side of the unit. This style of refrigerator can have many advantages. For example, the refrigerator can be used as a holding area for foods that should be kept cool and placed in between the kitchen and the dining room. Waiters can then come and open the refrigerator door from the other side and get the dish, without worry of it being spoiled or lackluster due to warming up. We offer both glass doors as well as solid doors. Glass doors will allow you to view exactly what products are in the refrigerator at any given time without having to open the door or even necessarily be near the refrigerator. However, glass doors also provide less insulation, are more difficult to clean, and generally cost more than solid doors. If you are extremely limited on space, consider buying a dual-temperature unit. 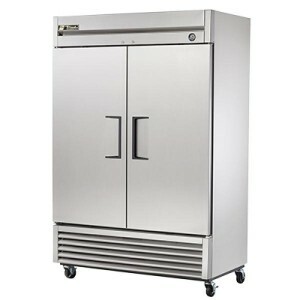 This type includes both refrigeration and freezer space all in one unit. 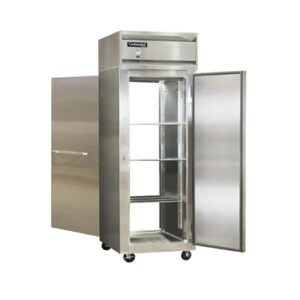 We offer these units in one, two and three sections as well as a number of other refrigeration types including undercounter, chef bases and merchandisers. Comparatively, they are quite expensive and are usually only purchased when space is truly at a premium, such as in an airport. Ready to buy or have more questions? Bresco’s refrigeration experts can answer any questions you have and can help guide you through the ordering process and even installation. Give us a call today at 800-344-2455 or drop by our showroom if you’re in the area!